LOS ANGELES (Jan. 25, 2015) — SAG-AFTRA presented its coveted Actor® statuettes for the outstanding motion picture and primetime television performances of 2014 at the 21st Annual Screen Actors Guild Awards® in ceremonies attended by film and television’s leading actors, held Sunday, Jan. 25, at the Los Angeles Shrine Exposition Center.  The 21st Annual SAG Awards® was simulcast live coast-to-coast by TNT and TBS at 8 p.m. (ET) / 5 p.m. (PT). A primetime encore presentation immediately followed on TNT. A live stream of the SAG Awards® was also available for viewing at the TNT and TBS websites, and the Watch TNT and Watch TBS apps for iOS Android. Honored with individual awards were Patricia Arquette, Julianne Moore, Eddie Redmayne and J.K. Simmons for performances in motion pictures and Uzo Aduba, Viola Davis, William H. Macy, Frances McDormand, Mark Ruffalo and Kevin Spacey for performances in television. The Screen Actors Guild Awards originated awards for the outstanding performances by a motion picture cast and by television drama and comedy ensembles. The Actor® for a motion picture cast performance went this year to “Birdman”, while the Actors® for television drama and comedy ensemble performances went this year to “Downton Abbey” and “Orange is the New Black”. Of the top industry honors presented to actors, only the SAG Awards are selected entirely by 111,228 performers’ peers in SAG-AFTRA. The SAG Awards was the first televised awards show to acknowledge the work of union members. Prior to the televised ceremony, honorees for outstanding television and film stunt ensemble action performances were announced from the red carpet during the SAG Awards Red Carpet Pre-show, hosted by PEOPLE Magazine’s JD Heyman and TNT correspondent Danielle Demski, which was webcast live on sagawards.tntdrama.com, sagawards.org and People.com beginning at 6 p.m. (ET) / 3 p.m. (PT). Carrie Fisher presented her mother Debbie Reynolds with the union's highest honor, the 51st Annual Life Achievement Award, following a filmed salute. Liev Schreiber introduced a filmed “In Memoriam” tribute to the members lost in the past year. In keeping with the SAG Awards tradition of highlighting the work of SAG-AFTRA members, a film montage recalled some of the groundbreaking performances that mirrored vital issues facing society. PEOPLE magazine and the Entertainment Industry Foundation (EIF) hosted the Screen Actors Guild Post-Awards Gala for the 19th year. This exclusive event, immediately following the SAG Awards on the back lot of the Shrine Exposition Center, honors the philanthropic causes and good works of the members of SAG-AFTRA. The gala benefits the SAG Foundation. The 21st Annual Screen Actors Guild Awards presented by SAG-AFTRA with Screen Actors Guild Awards®, LLC was produced by Avalon Harbor Productions. For more information about the SAG Awards, SAG-AFTRA, TNT and TBS, visit sagawards.org/about. Prior to the televised ceremony, honorees for outstanding television and film stunt ensemble action performances will be announced from the red carpet during the SAG Awards Red Carpet Pre-show, which will be webcast live on sagawards.tntdrama.com, sagawards.org and People.com beginning at 6 p.m. (ET) / 3 p.m. (PT). One of the awards season’s premier events, the SAG Awards annually celebrates the outstanding motion picture and television performances from the previous calendar year. Of the top industry honors presented to actors, only the SAG Awards are selected entirely by 111,228 performers’ peers in SAG-AFTRA. The SAG Awards was the first televised awards show to acknowledge the work of union members and the first to present awards to motion picture casts and television ensembles. For more information about the SAG Awards®, SAG-AFTRA, TNT and TBS, visit sagawards.org/about. Photos and graphics for the 21st Annual Screen Actors Guild Awards are available at sagawards.org/media-pr/photos-and-artwork.